Pictured above are: Sherry Meyer, Cheryl Schoen, Barbara Cohu, Noralee Faulkner, Margaret Seburn, and Carol Ann Pilkenton. Back Row: Margaret Kane, Sandy Mason, Kitty Crider, Guest, Charlotte Cole, and Myrna Fischer. 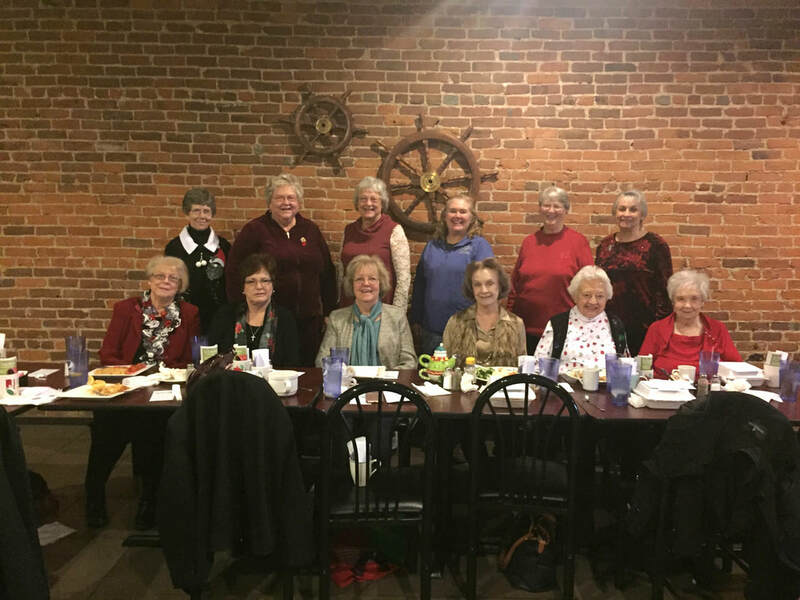 Daughters of the American Revolution host December Meeting The Elk Horn Prairie Chapter of The American Revolution held their December Meeting at the Aurora Olive Grille on December 7, 2018 at 11:30 a.m. Regent Noralee Faulkner opened the meeting and welcomed our guest. The Musical Program was presented by Aurora High School Choral Group led by Mrs. Julie Griffith. This was the eighth year and everyone agreed it was wonderful in spite of some technical difficulties. All members and guest were presented with Christmas mugs and DAR Friendship Tea recipe. Everyone ordered from the menu due to weather. Next meeting will be January 3, 2018 at the Smithsonian Exhibit in Aurora. Meet and Greet State Regent will be January 24, 2019 at 12:00 Club 1201 E. 32nd Street in Joplin, Missouri.